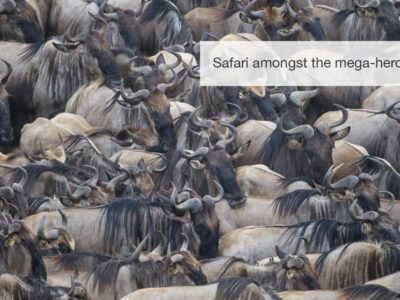 Wildlife safaris in Kenya are brimming with excitement as the Great Migration, or crossing of the Mara River, displays one of nature’s most thrilling natural phenomena. Driven by ancient instincts to find the fresh water and green grass of Kenya, two and half million animals take the yearly trip around the plains of Kenya and Tanzania, braving the crocodile gauntlet and culminating in the world famous crossings. Arguably the greatest show on earth, witness the truest form of the survival of the fittest. 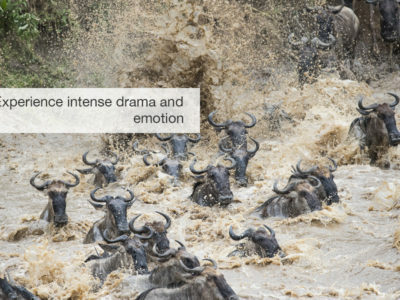 You will be based right in the heart of the action, only a few minutes from the nearest crossing points, and will get to experience one of natures most dramatic events. Aside from the treacherous Mara River, the mega-herd also has to contend with lions, cheetahs and hyenas making the most of this bountiful time – it is non-stop! Begin your classic out of Africa adventure in the remote northwestern area of the Masai Mara Reserve and expect to be swept off your feet as you experience the true treasures of the wilderness. At the end of the day your luxury 5-star private lodge with spectacular forest and savannah views awaits. 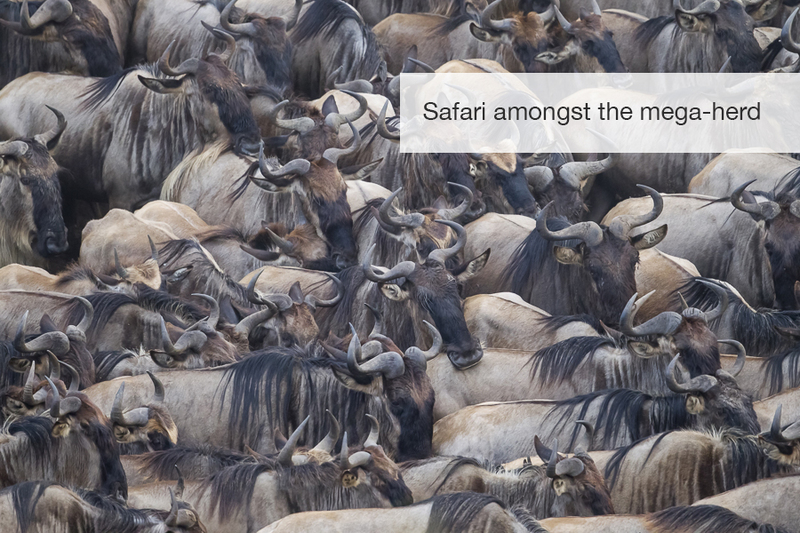 This safari is fully customized – from group size to dates and duration. For those looking to extend your stay in Africa, we have several options to enhance your experience. Contact our safari specialists to help you plan your dream safari! Upon arrival at Nairobi International Airport, a charter flight representative will meet you and bring you to Wilson Airport. 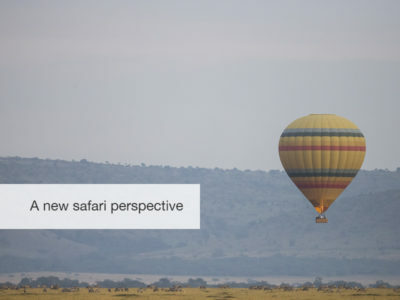 From here, you will catch a short flight to the Masai Mara. Your private ranger will greet you at the airstrip and drive you the short distance to the camp. 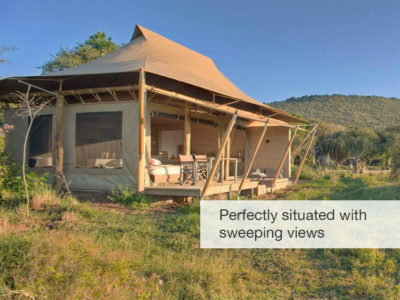 Located in the remote northwestern region of the Masai Mara Reserve, your 5-star private lodge is hidden within a forested area on a raised outcrop. 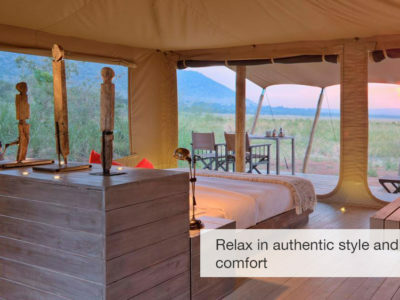 Laid out on immaculate grounds, luxury safari tents are tailored with all the necessary amenities, en-suite bathrooms and private veranda decks to enjoy breathtaking views of the surrounding forest and the open savannah plains below from your own tent. 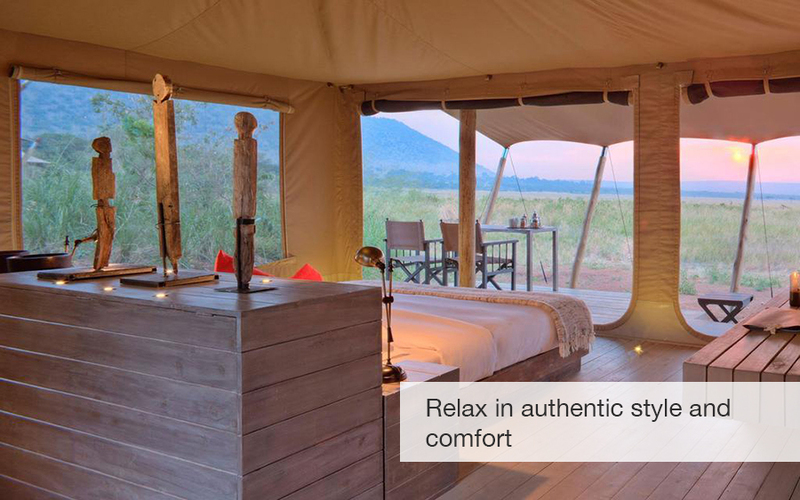 The ultimate luxury tented safari experience in the great outdoors. You’ll head out for an afternoon safari and will return to camp just after dark. Dinner and drinks will be served upon your return. Safaris in Kenya are abundant with exciting wildlife sightings, romantic scenery and breathtaking views. 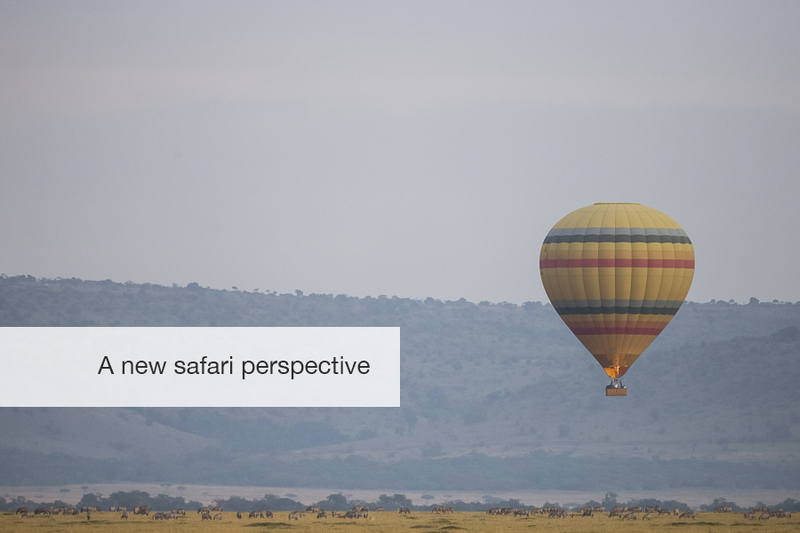 To make the most of the early morning light, you’ll head out for a sunrise safari. Open 4×4 vehicles take us on safari through the seemingly endless plains, dotted with wildebeest and zebra. 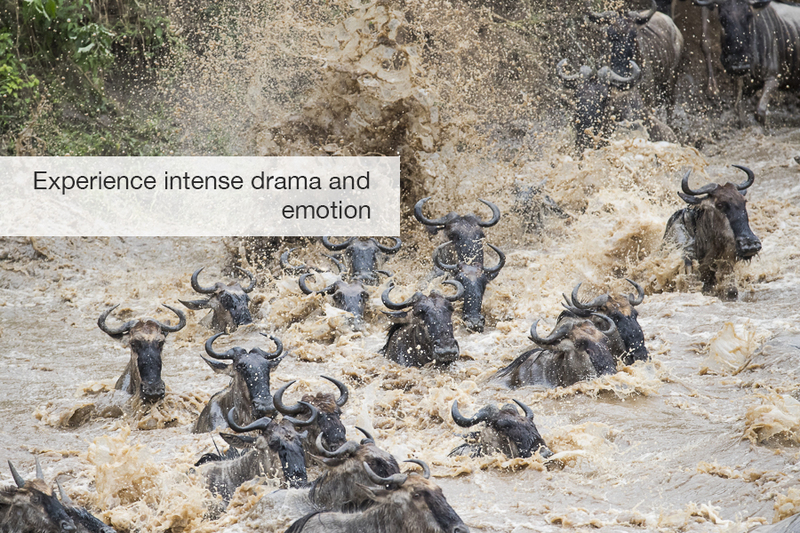 The primary goal of this safari is to witness and photograph the famous migration river crossings. The action is seemingly endless as you search through the Masai Mara for the next great sighting, from the masses of wildebeest and zebra crossing the Mara River while trying to evade huge crocodiles, to a secretive leopard resting on the branches of a large acacia. Away from the river crossing, action still abounds with lions, leopards and cheetah hunting on the plains. Nature Trail – This trail winds through riverine forest, and follows the perimeter of Sabaringo Creek – fantastic bird life! Max 8 guests per guide; Duration 2 hours. Mara Hippo Trail – This walk offers an exciting opportunity to explore the wilderness on foot, through the plains, riverine forest, savannah grasslands, bush-land, and on to the Mara River. Max 8 guests per guide; Duration 2 – 2 ½ hours (approx. 10km). Oloololo Escarpment Trail – The Oloololo Escarpment trail leads from the camp to the top of the escarpment from where you view the Mara reserve, the Mara River and riverine forest. Max 24 guests (8 guests guide); min 2 guests. Duration 2 hours (approximately 8km). Night Game Drive – Night game drive through the camp’s concession area to observe nocturnal wildlife. Min 2 guests. After one more morning safari, your ranger will take you to the Masai Mara airstrip for a short charter flight to Wilson Airport. From there, you will be transferred to the International Airport for your onward flight. Amboseli National Park in Kenya: Amboseli National Park is best known for its unrivalled views of Mount Kilimanjaro and the local elephant population. There are over 1,000 elephants in the park’s eco-system, including bull elephants, which carry some of the largest tusks to be seen anywhere in Africa. Happily roaming the grasslands are buffalo, wildebeest, zebras, giraffes, impalas, warthogs, and many unique species of general game – the beautiful fringe-eared oryx can be seen in the sparse bush or crossing the dry lakebed. Attendant carnivores include lions, leopards, caracals, cheetahs, jackals, hyenas and serval cats. Amboseli is off the main tourist path, meaning a quiet and relaxing experience with the majestic backdrop of Africa’s highest mountain, and the World’s highest free-standing mountain, snow-capped Kilimanjaro. The majestic sunsets, where Africa shows off her vivid colors, are a dream! Game drives, walks, sundowners and bush meals take place both inside the park and within a private 30,000-acre game concession. Samburu National Park in Kenya: With Buffalo Springs National Reserve to the south, the Shaba National Reserve to the east, the Samburu National Reserve completes the larger wildlife conservation area in which resident wildlife freely migrates. With altitudes ranging from 800m to 1230m above sea level, Samburu National Reserve sees a wide variety of animal and bird life. Several species are considered unique to the region including the Grevy’s zebras, Reticulated giraffes and Vulturine guinea fowls. A visit to the Reserve allows for unique experiences for wildlife enthusiasts and photographers alike. Rwanda Gorrilla trekking in the Virunga Mountains: Rwanda has been called “Land of a Thousand Hills.” Deep in the heart of Africa, this small and impressively mountainous country lies between the ecosystems of the Congo Basin and the Great Rift Valley, sharing the natural riches of both – resulting in exquisite beauty. The mountain gorillas are the main attraction in Rwanda and the opportunities to photograph them are endless. Their social behavior, to continue their day to day activities as if no one were there, provide some of the most interesting and rare experiences one could capture on safari. Golden monkeys are another highlight of this safari-also fully habituated to the human presence; get up close and personal to capture their antics on camera. A luxury eco-lodge nestled within the Virungas offer breathtaking views of the mighty volcano chain as well as the countryside. 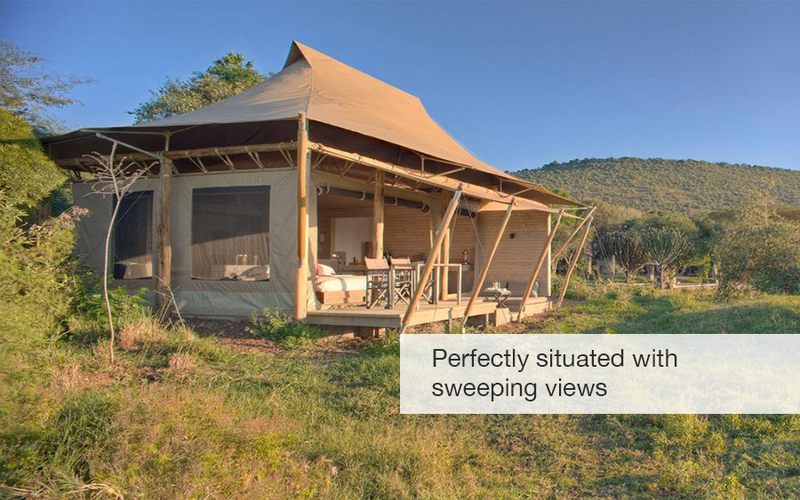 This is a customized safari with flexible dates between late July and end September.